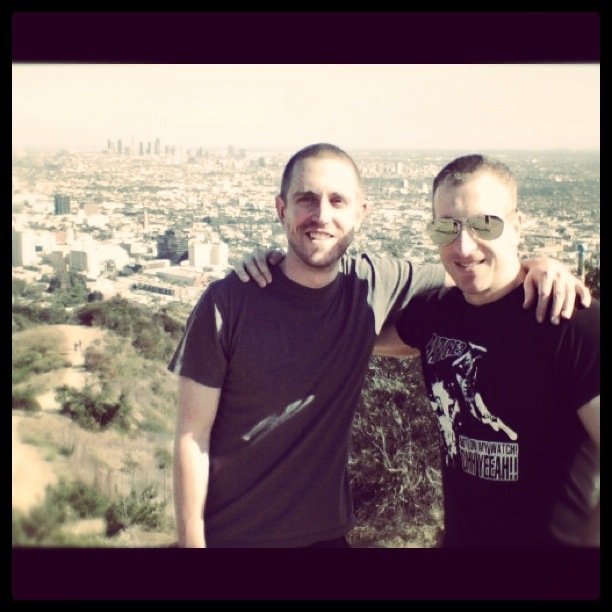 Just because I’m onto something new in the podcast realm doesn’t mean I’ve forgotten my original partner(s) in quasiradio crime. 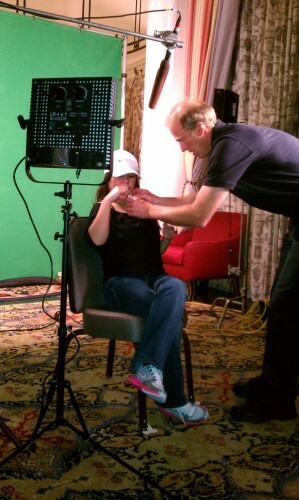 I make my acting debut on CSI tomorrow. I may end up on the cutting room floor and they may not show my face at all, but I did deal some poker to David Cassidy, aka Keith Partridge. You might just see me shuffling cards and cheating a guy. Who knows? If you don’t see my face, but you see some half bitten finger nails and stubby hands doing some magic with cards that’s me. Next up … hand modeling. 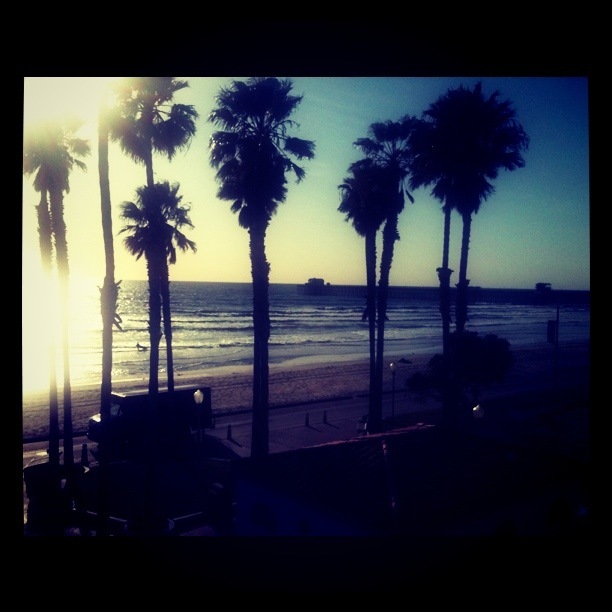 Woot. 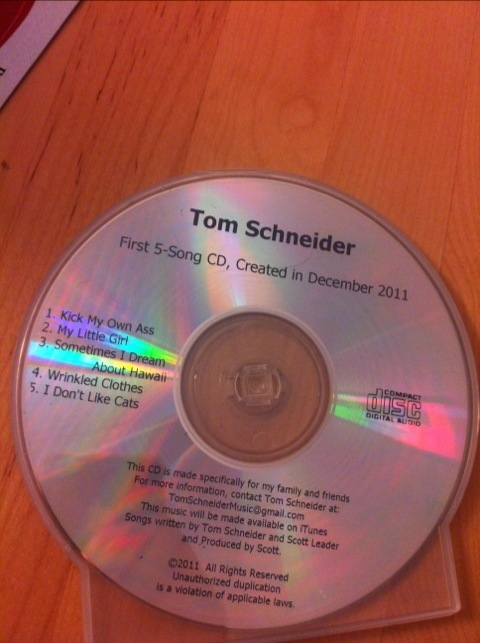 We’ll be looking for it, as Schneider continues to cross items off his bucket list in time for the WSOP! Shocking… Dan and Dr. Pauly actually watch one of the events from the rail at the WSOP, and Dan actually recognizes a few players. 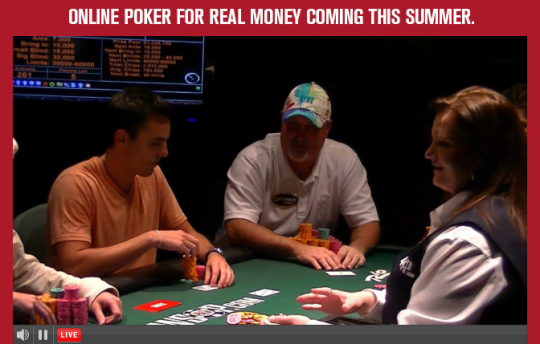 2011 WSOP – Episode 4: Team Pokerati Update and the Men the Master/Hollywood Dave’s Fracas (4:58) – Dan and Pauly hang out on the rail of Event #3 $1,500 Omaha 8 after the money bubble bursts. They discuss updates on Angry Julie, a member of Team Pokerati, along with detailing the highlights of argument that almost turned into a brawl when Men the Master (ironically) accused Hollywood Dave of being a cheater. As far as Pokerati’s concerned, La Sengphet is the player who made the WSOP-Circuit most fun to follow. Whether it be strong-playing “the Hammer” or testing the limits of “the Harris” … not since Dwyte Pilgrim has there been such an engaging minor-league pro story. 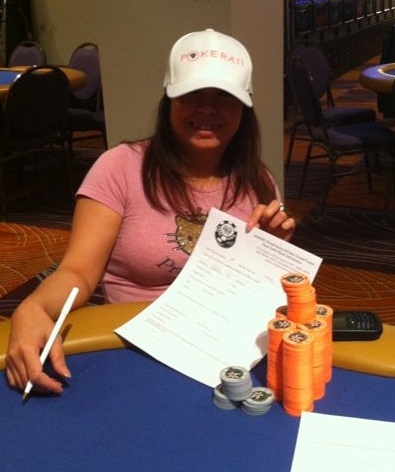 La criss-crossed the country for months to earn her seat, where she finished 4th for $100k this weekend — staking her claim as the #1 most successful female on the 2010-11 WSOP Circuit. Also notable at the final table was Josh Evans, longtime friend of Pokerati and frequent opponent of La’s back in the Dallas Jackie’s days. He won $135k, finishing 3rd. Television coverage of the WSOP-Circuit leading up to this event event airs on Thursdays on Versus, starting June 2. NOTE: La kept her winning ways alive, chopping an Aria nightly four ways for $1,600 the following day. Another strong Pokerati lady player proving she can compete against fields with or without penises, Stacey Nutini had been moneying often in recent months in various small tourneys around town, and even tore up events online post-April 15 to pad her theoretical play-money bankroll. But yesterday, the defending LIPS Grand Champion — who’s probably taken more Maven Training than anyone else — showed she could turn it on with real money on the line. @LasVegasPokers destroyed a 166-player field in the $550 main event at the Orleans Open this weekend for a solid, WSOP-warming $24k score. 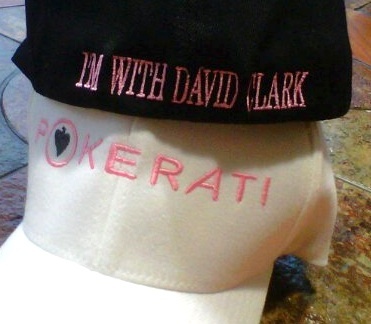 When not working undercover to confirm the whereabouts of Howard Lederer, new Pokerati on-and-off-the-felter Marie-Lizette admits she still has “the dream” … and to that effort took down an $85 nooner at Caesars for a $1,440 bankroll boost, and then binked a single-table-satellite for a seat in today’s WSOP Event #1, the casino employees event. 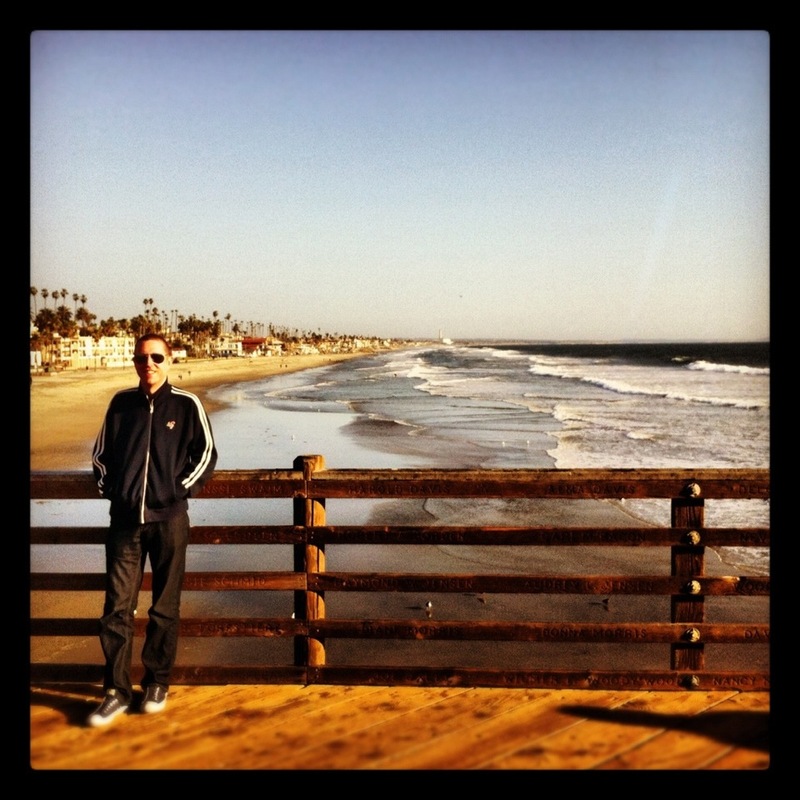 (Added props to Pokerati alum Kevmath, who won the same Caesars daily the night before.) @MarieLizette to see her excitable tweets from the WSOP. With the Macau Poker Classic underway this week, PokerStars is essentially saying if they can’t have America, they’ll be in China before Caesars … establishing a foothold where the WSOP can’t by staging their second MPC in three months — complete with three events determining the APPT “Official” Asian Player of the Year. Click here for the latest standings, and remember to divide by 8 for a rough conversion from HK to US dollars. 18-year-old Lukas Berglund from Uppsala, Sweden is the youngest champion in the history of the World Poker Tour after winning the Season X WPT Spanish Championship. Berglund, who graduates from high school this week, scooped €206,000 after crushing the field and knocking out every single player on the final table en route to victory. All patched up and places to go ... Sengphet prepped for her shot at a hard-earned championship bracelet. 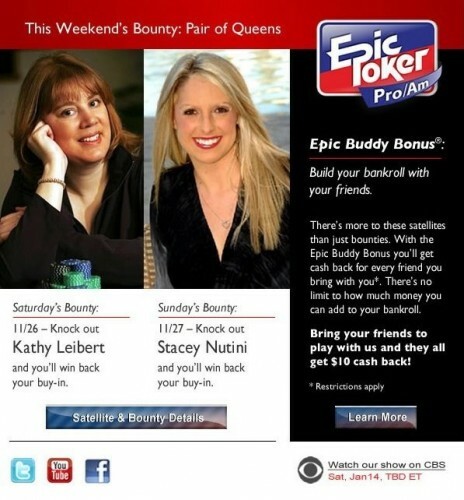 Someone will win the first bracelet of the 2011 WSOP today, before registration opens for event #1. We listed about 13 percent of the field as people who might be worth watching, just because, and three of them made it to the final table and ITM of the WSOP-freeroll championship … which I’m not sure whether or not qualifies for POY points but obviously should. You’ll have to just believe us that the guy who woulda been my 14th pick on that list was Huy Nguyen, who ended Day 2 yesterday by banking $27,500 for 10th place. So cards just got in the air for the first televised event of the 2011 WSOP, and of the 10s of thousands of players who had a chance to be here, three of them are from Dallas (though one has since moved to Las Vegas), and one has been part of Team Pokerati since she got a lotta chips in the 2010 WSOP ladies event. Go La Sengphet! Also go Josh Evans! And though for a while I wasn’t sure if I had first seen him at Jackie’s in Dallas or maybe was just confusing him with a guy seen once at the Venetian, go Charles “Woody” Moore! All three of these players and the others are anything but luckboxes in a sit-n-go … they are real grinders and rounders with skill … and a win here, my contention, is a ticket to the real big leagues … as the winner of today’s event will be known all around as a real real player, and will have the bankroll — $300k for first — to prove it for as long as they can hold as a true and successful pro. 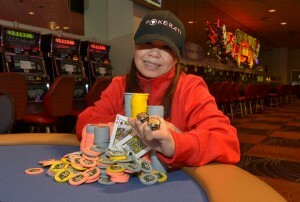 Pokerati fave on her game, ticket to big leagues at stake? Don’t wanna say too much because, you know, don’t want any cooler-jinx factor in play … but La Sengphet is the chip leader going into today’s action for the WSOP-C National Championship. 97 players started … (three no-shows) … 35 remain. Top 10 ITM, $300k FTW. Headlining today’s field is La Sengphet with an amassed 165,000 mainly courtesy of a huge call with second pair on a four-club board on one of the final hands of the day. Only two other players sit in the six-figure club with Huy Nguyen (122,700) and Jonathon Poche (121,400) snapping at Sengphet’s heels. Charles ‘Woody” Moore (95,100), Curt Kohlberg (94,600), Doug ‘Rico’ Carli (72,800), Bernard Lee (70,900), Dwyte Pilgrim (36,300) and Allen Kessler (23,100) are just a handful of notables still in contention for capturing the $300,000 first prize and coveted gold bracelet. Traci Brown (the only other woman to qualify for this event) and Pokerati pal Josh Evans are also still alive — though both small-stacked with about 33,000 chips and a chair. Blinds are 600/1,200 + 200 as play gets underway right about now 20 minutes ago! They play down today to a final table of 9. 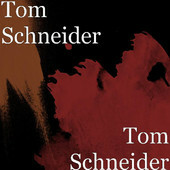 Follow along here. UPDATE: It’s official, both La n DC qualified! For the inaugural minor-league Champions League NIT 2011 WSOP-Freeroll World Championship. Whatever it turns out that people end up calling it … we can only hope here at Pokerati for a high-stakes poker lovers’ quarrel at the final table. For at least a few players, today is a day kinda like when high-school kids wait to get their college acceptance/rejection letters … waiting to see the final points tally to be official, so they know whether or not they qualified for the WSOP-Circuit National Championship — the $1 million freeroll that will kick off the 2011 WSOP. Team Pokerati’s La Sengphet is a lock (8th among non automatic qualifiers with 155 points, 2 rings, 7 cashes, $67k) … yay La! You go girl! 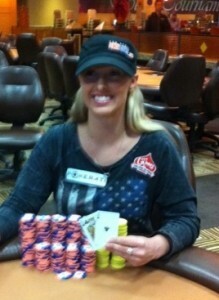 … and, of course, she also won a non-points pendant for her 1st place finish in the WSOP-Caesars ladies event. 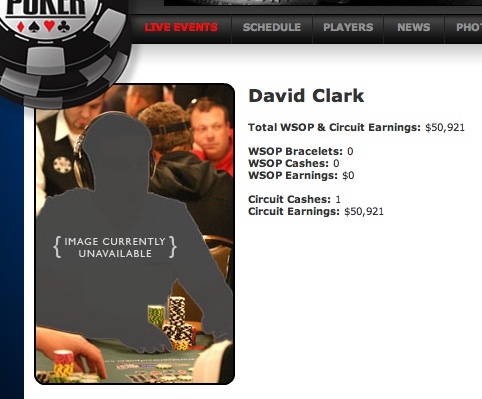 And it looks like her other half, David Clark, also will make the cut but just barely (112.5 pts – 1 ring, 9 cashes, $59.5k) … DC made a final table in a non-ring PLO/8 event at WSOP-NOLA for good measure without the points … and he finishes just ahead of Steve Zolotow, who qualifies with the same point total, no rings, just 3 cashes, and $43k in earnings to give you an idea who got in at the bottom of the field. At the very bottom, interestingly enough, with 100 points, is John Riordan, who won a ring and $210k in Florida. But he will not get a seat this year because he is not yet 21. 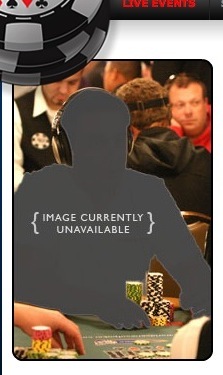 Will be curious to see how the WSOP handles this case … will he simply get a rain check for when he comes of age? 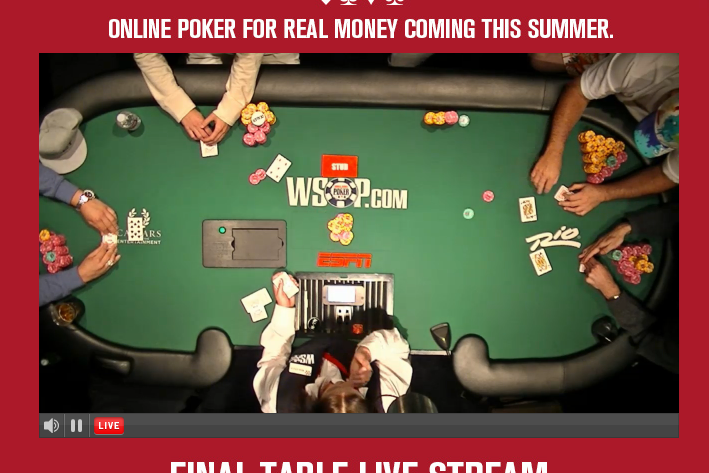 Because if so, when will we see bona fide WSOP-Teen events?!? You know, of course, that I am in the minority willing to admit that I think poker is good for kids. 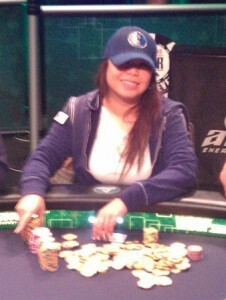 Pokerati’s favorite Laotian racking up championship points! Is it too early to call her the Dwyte Pilgrim of 2011? We were just telling you how well La Sengphet was playing … when boyfriend David Clark gave me a buzz to let me know, yo dude, don’t hate on the short bus! But lest he start thinking he could keep up with his better half … yesterday she took down her second WSOP-circuit ring of the season — winning the last event of WSOP-St. Louis, a $345 NLH. Not sure on the number of players or payout yet … we’ll of course let you know. And pretty sure that’s another 50 circuit championship points, too, which would put her 4th in the pool of 34 potential non-automatic qualifiers. And depending on the other deep runners in her event and the main … it looks like she may well have won the crown for Harrah’s St. Louis “casino champion” … which would guarantee her a seat in the WSOP’s million-dollar circuit freeroll in late May. Meanwhile, they are celebrating La’s victory all across Laos … though we did just learn they aren’t doing this all for La … it also happens to be Laotian New Year all week. 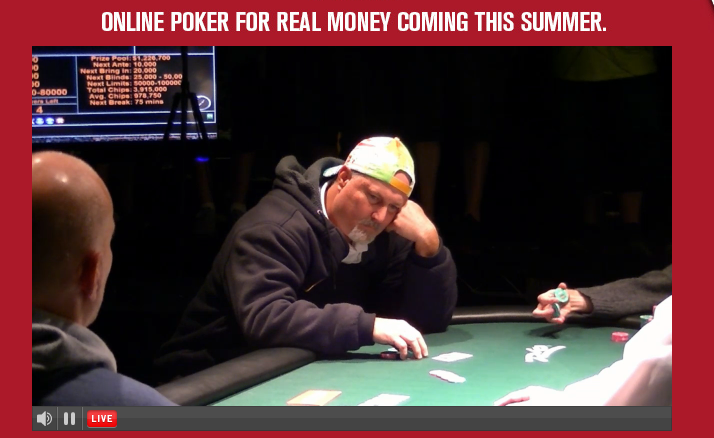 CORRECTION: Turns out we overlooked two cashes for David in St. Louis and one in Florida. Pokerati regrets the error(s) … and, of course, basing the entire premise of a post around them. WSOP.com still working to rectify their contribution to the misinformation. La Sengphet, seen here signing off on her latest final table chipstack, is becoming a familiar face deep in WSOP circuit events. When resident Team Pokerati lovebirds La Sengphet and David Clark started off their 2011s with matching WSOP circuit rings, we thought we might see another Sosa/McGwire sitch … a back-and-forth poker slugfest propelling the Dallas couple to seats in the new WSOP Circuit National Championship million-dollar freeroll that’ll kick off the 2011 WSOP in late May. It seems we were at least half-right. Most recently, La made a final table in a $345 Omaha Hi Lo event in St. Louis and followed that with a 13th place finish in a $345 NLH — enough for her to surpass her boyfriend’s total winnings for the year. But perhaps more important — and a more exciting reason for me to be paying attention to relatively minor events at Harrah’s Mid-America — she played her way to 30 more WSOP circuit points! Of those who don’t automatically qualify, there’ll be some 34 seats won … and La is currently tied for 16th. Click here to understand how WSOP circuit points work. (I just learned myself.) And click here to see the current national leaderboard. At this point, with just three more circuit stops left — Caesars Palace, Chester, PA, and a regional championship in New Orleans — there’s an extra level of intensity to these otherwise smaller events. Not sure if the national championship, which should prove to be one of the more skill-packed tourney fields of the year, is helping create a new generation of rounder pros, or just answering their call. But either way, with so much on the line for these minor leaguers hoping to build a career … how awesome is La’s hat?